Gary Young and Gino Hernandez went to high school together in Texas..
2006: Gary Young is now the manager of the Chili’s in North Little Rock, Arkansas..
January 19, 1990 – USWA: Dustin Rhodes defeated Gary Young in a Bull Rope match. February 23, 1990 – USWA: Jimmy Jack Funk defeated Gary Young. March 9, 1990 – USWA: The Southern Rockers (Rex King & Steve Doll) defeated Gary Young & Sheik Braddock. April 1, 1990 – USWA: Gary Young defeated Dustin Rhodes. April 13, 1990 – USWA: Gary Young defeated Jimmy James. April 27, 1990 – USWA: Kevin von Erich defeated Gary Young. May 3, 1990 – USWA: Gary Young defeated Chico Torres. June 1, 1990 – USWA: Kevin von Erich defeated Gary Young. June 15, 1990 – USWA: Gary Young defeated Kevin von Erich. June 19, 1990 – USWA: Jimmy Jack Funk & Tracy Smothers defeated Cactus Jack & Gary Young. June 22, 1990 – USWA: Gary Young defeated Terrence Garvin. June 29, 1990 – USWA: Kevin von Erich vs. Gary Young ended in a double count-out. July 1, 1990 – USWA: Kevin von Erich defeated Gary Young. July 6, 1990 – USWA: Gary Young vs. Steve Austin ended in a no contest. July 8, 1990 – USWA: Gary Young defeated Kevin von Erich. July 13, 1990 – USWA: Billy Travis & Brickhouse Brown defeated Gary Young & Sweet Daddy Falcone. July 20, 1990 – USWA: Gary Young & Sweet Daddy Falcone defeated Billy Travis & Brickhouse Brown. August 3, 1990 – USWA: Gary Young & Sweet Daddy Falcone defeated Jeff Jarrett & Jerry Lawler by disqualification. August 10, 1990 – USWA: Jeff Jarrett & Mr. X defeated Dog Of War & Gary Young. August 17, 1990 – USWA: Jeff Jarrett defeated Gary Young. August 24, 1990 – USWA: Gary Young & John Tatum defeated Jeff Jarrett & Jerry Lawler. August 31, 1990 – USWA: Gary Young & John Tatum defeated Bill Dundee & Jerry Lawler. September 7, 1990 – USWA: Jeff Jarrett & Kamala defeated Cactus Jack & Gary Young. October 8, 1990 – USWA: Austin Idol defeated Gary Young in the 1st round. October 26, 1990 – WCWA: Gary Young defeated Steve Cox. November 2, 1990 – WCWA: Gary Young defeated Steve Cox. January 4, 1991 – USWA: Gary Young defeated Steven Dane by disqualification. January 11, 1991 – USWA: Gary Young vs. Eric Embry ended in a double count-out. January 25, 1991 – USWA: Gary Young defeated Eric Embry in the quarter-finals. Gary Young defeated Jeff Jarrett in the semi-finals. Bill Dundee defeated Gary Young to win the tournament and vacant heavyweight title. March 25, 1991 – USWA: Danny Davis vs. Gary Young ended in a time limit draw. May 3, 1991 – USWA: Eric Embry & Jimmy Valiant defeated Gary Young & Terry Garvin. May 10, 1991 – USWA: Gary Young defeated El Grande Pistolero. May 17, 1991 – USWA: Gary Young & Terry Daniels defeated The Texas Hangmen (Killer & Psycho) by disqualification. May 27, 1991 – USWA: Texas Ranger defeated Danny Davis. June 3, 1991 – USWA: The Texas Ranger defeated Brian Christopher. June 10, 1991 – USWA: Jerry Lawler defeated The Texas Ranger. June 28, 1991 – GWF TV Taping: Brian Adias & Gary Young defeated Doug Somers & Kenny The Stinger. Buddy Landel defeated Gary Young in the 1st round. July 5, 1991 – GWF TV Taping: Gary Young defeated Randy Rhodes. July 11, 1991 – GWF TV Taping: Makhan Singh & Rip Rogers defeated Gary Young & Jeff Gaylord. July 12, 1991 – GWF TV Taping: Gary Young defeated Mike Davis. July 19, 1991 – GWF TV Taping: Gary Young defeated Bill Irwin by disqualification. August 2, 1991 – GWF TV Taping: Gary Young defeated Cactus Jack by count-out. August 9, 1991 – GWF TV Taping: Cactus Jack defeated Gary Young in the 1st round. August 10, 1991 – GWF TV Taping: Gary Young & Jeff Gaylord defeated El Diablo & Kenny The Stinger. August 16, 1991 – GWF TV Taping: Gary Young defeated Reno Riggins. December 27, 1991 – GWF TV Taping: Gary Young defeated Billy Travis. January 10, 1992 – GWF TV Taping: Gary Young & Ivan Putski vs. Mike Davis & Tom Davis ended in a draw. January 17, 1992 – GWF TV Taping: The Dark Patriot defeated Gary Young. January 24, 1992 – GWF TV Taping: Brute Force (Jammer & Slammer) defeated Gary Young & Louie Spicolli. Dark Patriot defeated Gary Young. Gary Young defeated Tom Davis. January 31, 1992 – GWF TV Taping: Gary Young & Sam Houston defeated Black Bart & Guido Falcone. February 7, 1992 – GWF TV Taping: Dirty White Boy defeated Gary Young. February 14, 1992 – GWF TV Taping: Dark Patriot defeated Gary Young. February 21, 1992 – GWF TV Taping: Bill Irwin, Gary Young, Scott Putski & Terry Garvin defeated Black Bart, John Tatum, Rod Price & Steven Dane. February 28, 1992 – GWF TV Taping: Black Bart defeated Gary Young. John Tatum & Rod Price defeated Gary Young & Scott Putski to retain the North American tag team titles. March 6, 1992 – GWF TV Taping: The Dark Patriot defeated Gary Young. March 20, 1992 – GWF TV Taping: Bill Irwin & Gary Young defeated Black Bart & Skandor Akbar. March 27, 1992 – GWF TV Taping: Gary Young vs Steven Dane ended in a draw. April 3, 1992 – GWF TV Taping: Gary Young, Scott Putski & Terry Simms defeated John Tatum, Rod Price & Steven Dane. April 10, 1992 – GWF TV Taping: Gary Young defeated Scott Putski. April 17, 1992 – GWF TV Taping: Scott Putski & Terry Simms vs. Gary Young & Steven Dane ended in a double disqualification. April 24, 1992 – GWF TV Taping: Scott Putski & Terry Simms defeated Gary Young & Steven Dane by disqualification. May 1, 1992 – GWF: Gary Young & Steven Dane defeated Scott Putski & Terry Simms to win the North American tag team titles. January 17, 1993 – BDPW: Bill Irwin & Gary Young vs. Bobby Duncum Jr. & John Tatum ended in a double count-out. January 24, 1993 – BDPW: Terry Simms defeated Gary Young by count-out. January 31, 1993 – BDPW: Terry Simms defeated Gary Young by disqualification. February 14, 1993 – BDPW: Gary Young defeated Chris Barrett. February 21, 1993 – BDPW: Gary Young & John Tatum defeated Bobby Duncum Jr. & John Hawk by disqualification. February 28, 1993 – BDPW: Bobby Duncum Jr. & John Hawk defeated Gary Young & John Tatum. March 7, 1993 – BPDW: Bill Irwin & Gary Young defeated Action Jackson & Iceman King Parsons. March 14, 1993 – BDPW: Action Jackson & Iceman King Parsons defeated Bill Irwin & Gary Young by disqualification. March 21, 1993 – UWA: Action Jackson & Bam Bam Richardson defeated Gary Young & Scotty Braddock. March 28, 1993 – BDPW: Chris Adams, Eric Embry & Terry Simms defeated Bill Irwin, Gary Young & Ian Rotten in a looser of the falls leaves town match. April 4, 1993 – BDPW: Bobby Duncum Jr. & John Hawk vs. Gary Young & Rod Price ended in a double count-out. April 16, 1993 – GWF: Ebony Experience (Booker T & Stevie Ray) defeated The Super Destroyers (Super Destroyer #1 & Super Destroyer #2). April 18, 1993 – BDPW: Gary Young defeated Action Jackson in a Taped Fist match. April 25, 1993 – BDPW: Action Jackson & Calvin Knapp defeated Gary Young & Scotty Braddock by disqualification. May 2, 1993 – BDPW: Bill Irwin & Gary Young defeated Calvin Knapp & Terry Simms. May 9, 1993 – BDPW: Calvin Knapp & Terry Simms defeated Bill Irwin & Gary Young by disqualification. July 11, 18, 1993 – BDPW: Gary Young defeated Billy Joe Travis. 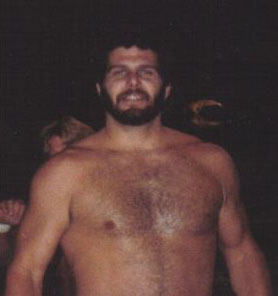 July 25, 1993 – BDPW: Billy Joe Travis defeated Gary Young in a chain on a pole match. August 22, 1993 – BDPW: Gary Young defeated Jake Roberts in a cage match. October 3, 1993 – BDPW: Gary Young & Scott Braddock defeated Action Jackson & Reggie B. Fine by disqualification. October 17, 1993 – BDPW: Action Jackson, Chris Adams & Mike Davis defeated Black Bart, Gary Young & Scott Braddock. October 24, 1993 – BDPW: Terry Simms defeated Gary Young by disqualification. Bill Irwin, Black Bart, Gary Young, Rod Price & Scott Braddock defeated Action Jackson, Chris Adams, Mike Davis, Mr. Mister & Terry Simms in a tag team elimination match. October 31, 1993 – BDPW: Gary Young & Rod Price defeated Mike Davis & Terry Simms. November 7, 1993 – BDPW: Mike Davis & Terry Simms defeated Gary Young & Rod Price by disqualification. November 14, 1993 – BDPW: Mike Davis & Terry Simms vs. Gary Young & Rod Price ended in a no contest. Davis & Simms retains the tag titles. November 21, 1993 – BDPW: Gary Young & Rod Price defeated Mike Davis & Terry Simms to win the vacant tag titles. November 28, 1993 – BDW: Mike Davis & Terry Simms defeated Gary Young & Rod Price by disqualification. December 5, 1993 – BDPW: Mr. Mister defeated Gary Young by disqualification. Jimmy James, Mr. Mister & Terry Simms defeated Bill Irwin, Gary Young & Scott Braddock. December 12, 1993 – BDPW: Gary Young defeated Mr. Mister. December 19, 1993 – BDPW: Gary Young vs. Mr. Mister ended in a no contest. January 9, 1994 – BDPW: Jimmy James & Mr. Mister defeated Bill Irwin & Gary Young. January 23, 1994 – BDPW: Mr. Mister defeated Gary Young in a falls count anywhere, looser leaves town match. February 6, 1994 – BDPW: Jimmy James & Mr. Mister defeated Bill Irwin & Gary Young. September 17, 1994 – GWF: Gary Young defeated Iceman King Parsons. April 23, 1995 – MEWF: The Goodfellows (Gary Young & Steven Dane) defeated Marvelous Inc. (Jimmy Jannetty & Rich Myers).